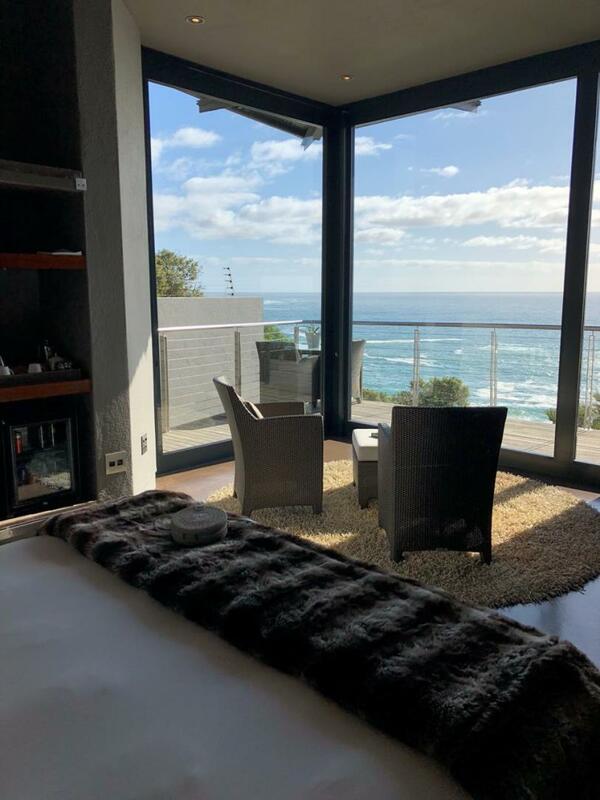 Llandudno may seem nearby the hustle and bustle of city life in Cape Town, but after my weekend away at the beachside beauty 26 Sunset Villa, I know this quiet escape awaits city travelers; and it’s just around the corner from all the Mother City has to offer. The property boasts breathtaking views of the Atlantic coastline and is a luxury retreat catering to every calming detail: yoga, fresh gourmet meals daily, and unforgettable hospitality. As I arrived I was greeted warmly by owner Christi and head chef Stacey, a kind duo who will keep you laughing and accommodate your every need. They took us to explore our new home for the weekend as we settled into our stunning accommodation. Shown to our modern room, with lavish amenities like soft comforting marshmallow like beds, underfloor heating for chilly nights, a decadent rain shower to wash away all your cares, and sliding doors to a spacious deck with impeccable sea views, I was thrilled that this magnificent villa was my new home. The beauty of the location and attention to detail meant the options to simply relax in a quiet space or to be outside recharging in the fresh South African air. Cliff walks to Sandy Bay and Llandudno beach, prepared picnics, games instead of TV, a gym, a warm pool, and a steam room; there were so many options for ‘me time’ that guests can effortlessly enjoy themselves. After I settled in, our first yoga session began with more uninterrupted views of the deep blue ocean. 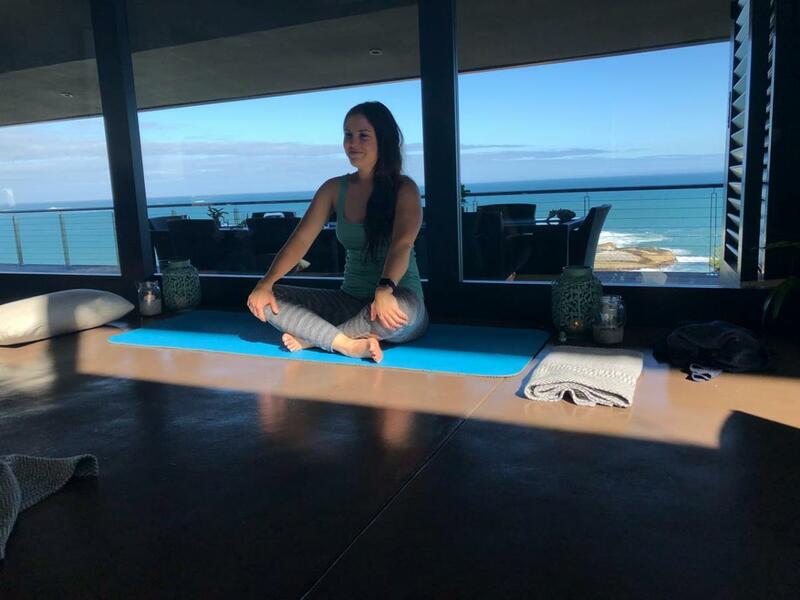 The gentle sounds of waves crashing into the shore, the sunlit space and calming gentle Vinyasa flow, and the easy instructions of a private class were unlike anything I’d experienced in the city. Surrounded by the scents of essential oils, dabbed onto my palms to connect with my chakras (our spiritual centres) and ambient music, allowed me to let go and truly be present in a weekend of tranquility. Soaking in the last bit of sun for the day, I sipped tea by the sea, before experiencing the culinary abilities of our creative and talented Chef Stacey. Able to capture the natural flavours of plant-based food, our hearty vegan curry, with freshly made poppadoms, was comforting and beautifully presented; a high-end vegan dining delight. For dessert, we were treated to hand-crafted non-dairy chocolates made with coconut oil, the perfect finale to end a deliciously self-productive day. The next morning I woke to the empowering sounds of nature’s surrounds, before a decadent breakfast of berries, nut butters, porridge and flapjacks, a perfect precursor to my walk to the beach. As I headed back, my anticipation for a magical deep tissue massage filled me joy, knowing that I’d be treated like royalty, feeling uplifted and completely at ease. 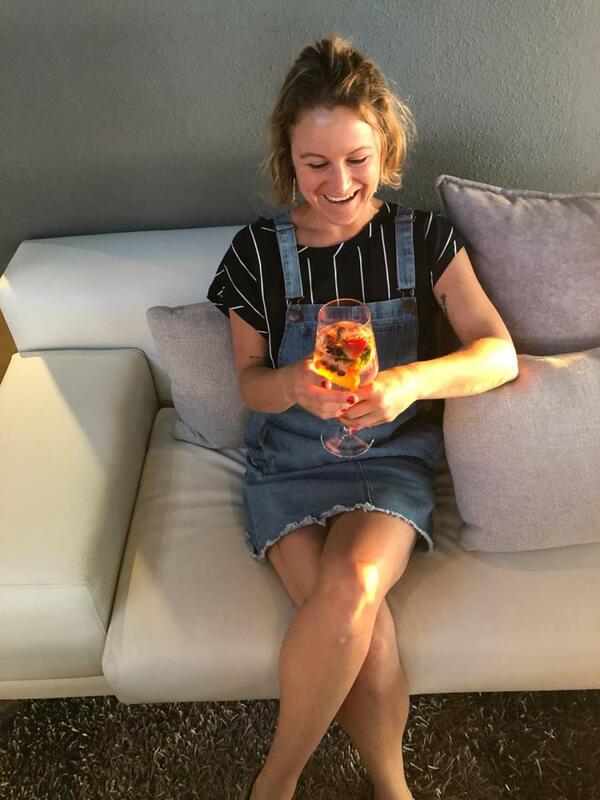 As the day came to a close, my last dinner, an Asian noodle salad with a make-your-own sushi station and a lovely gin bar set up, allowed me to resonate on the spectacular feel-good moments of the day. Discussing how the retreat was going, the evening ended with gratitude for the new people I’d met and the opportunities I’d been given to take this time for myself. The next morning’s breakfast on the balcony was somehow bittersweet, as I recapped on this amazing weekend experience of self-love and bespoke hospitality. I didn’t realise how much I needed this retreat until I left feeling utterly uplifted. The stillness of mind that Stacey and Christi offer to their guests creates a space for refocusing and joy. With gifts in hand and my soul at ease, 26 Sunset Villa truly offered a holistic approach to a personal and luxurious escape. This boutique beauty is a hidden gem that welcomes everyone with gentility and understated 5-star hospitality, and one everyone should visit when in Cape Town, local or visitor.